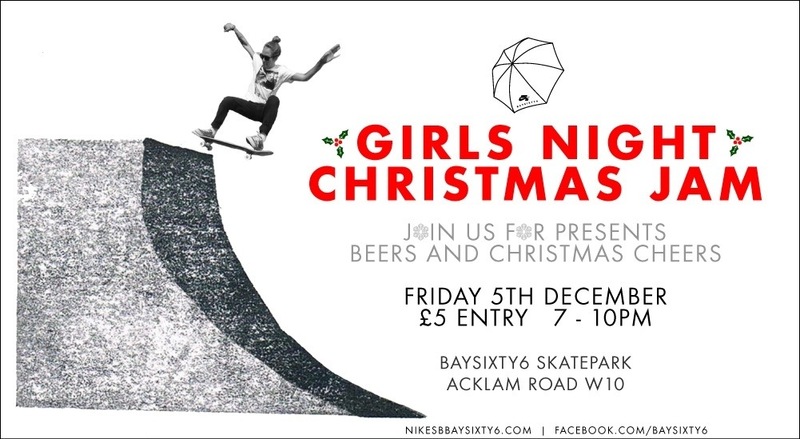 Don’t forget that the Nike x Girl Skate UK Christmas Skate Jam at Bay Sixty6 is THIS FRIDAY! From 7-10pm there will be a girls session including coaching from Helena Long (limited spaces available so sign up here… amy@primeandfire.com) and a Presents for Tricks throw out for anyone wanting to get involved, Thanks to our sponsors at Nike, WeSC, Stance, Story & Thrashion. On the mic we have Lucy Adams & Shelley-Georgia Yates so you can expect a funny evening! There’ll also be free pizza and beer.